about the PS4 and what we can expect from Sony this fall. Three popular MMO games are coming to the PS4 and will be available after launch. 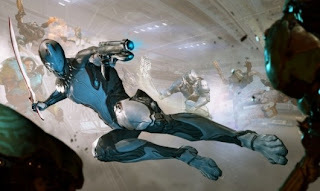 DC Universe online, an MMORPG set in the universes of the DC heroes and villains, Planetside 2, an MMO shooter where thousands of people can play in the same match at once, and the third-person co-op shooter Warframe will all see a PS4 port. Unfortunately we don't know the launch dates of any of these titles past the fact that they are all scheduled to release sometime in 2013, though it would help a bunch if we knew what the launch date for the PS4 itself was.